The ability to work at high intensity depends largely on mechanics and consistency. If your rowing is smooth and efficient you should be able to push this Rowing WOD and hold sub-2k pace for every piece. A good goal might be to hold your 2k split for every piece or negative split so that each piece is one split second faster. Same goes for the medicine ball cleans. If you can focus on using the legs and hips to move the ball, then your arms will remain loose and fluid providing a greater efficiency of movement. This will allow you to push the pace and go unbroken for every round. Try to only pause for brief breaks in between exercises if you have to. 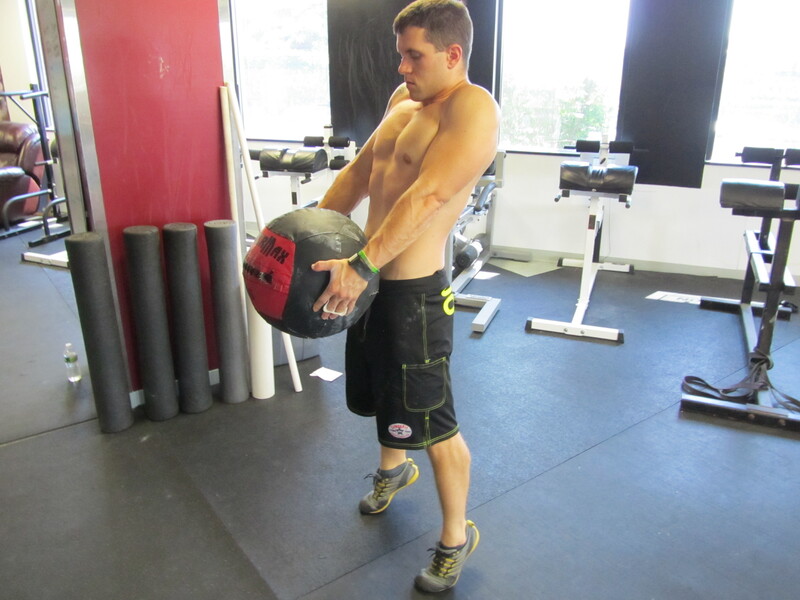 If you don’t have a medicine ball to clean than you could modify with a loaded back pack or just make the movement a Dumbbell Clean. No matter what focus on good overall movement and ensure you have the mechanics and consistency dialed in during your warmup. This entry was posted in Fitness, Rowing and tagged endurance sports, exercise, functional movements, healthy-living, inspiration, new sport, recruitment patterns, row 2k, rowing, sports, Strength, training by Renegade Rowing. Bookmark the permalink.